NORTHEAST HOUSTON — The public was asked to participate last week in a series of three meetings hosted by the Harris County Flood Control District, to hear the status of the Halls Bayou Flood Control Study project, and to offer their comments and suggestions. The meetings were held at MacArthur High School on Tuesday night and Saturday of last week. Anyone who missed the event, but wishes to participate, may access the information and suggestion forms at www.hcfcd.org/hallsbayoustudy. These are due by March 23. As presented by HCFCD Study Manager Russ Poppe in a talk and slide show, the District is undertaking the Halls Bayou Federal Feasibility Study to identify a comprehensive plan designed to reduce damage due to flooding along Halls Bayou. The District began the study in 2006, in partnership with the U.S. Army Corps of Engineers. It is anticipated that the study will take about 7 years to finish. The study is meant to lead to large, long term solutions to the problems of flooding in the Halls Bayou Basin, and as it leads into Greens Bayou beyond. It is anticipated that if the criteria are met, the federal government through the Corps of Engineers may pay for as much as 75% of the remedial work. In the meantime, Harris County can pursue other more immediate remedial projects with its own funds, but currently these are limited. In the Aldine area, flood control projects include Keith-Wiess Park on Aldine-Westfield, Hall Park on the East side of US59 near Langley, and Bretshire Basin on the West side of US59 near Jensen. Each of these is under construction and two will include recreation features. They have been built with funds from the County, the City, and Texas Parks and Wildlife Dept. In his remarks, Poppe pointed out that as a tributary of Greens Bayou, that Halls Bayou is located in north central Harris County, and include the City of Houston and central Harris County and unincorporated areas of the County, including those in the East Aldine and Airline Districts. There are approximately 200,000 people living in the area, which covers nearly 45 square miles and is about 20 miles long. There are more than 5,700 structures in the mapped 100 year floodplain area. The purpose of the study, Poppe said, is to identify a plan that would address flooding problems and to qualify for federal funding to bring greater damage reduction benefits to the communities along Halls Bayou. 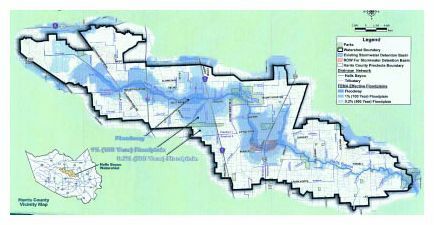 Techniques that might be considered as part of the study include Storm water detention basins, Purchase of homes and businesses that flood frequently, Bypass Channels, Bridge Improvements, and Channel Modifications. Public input is sought on these issues. 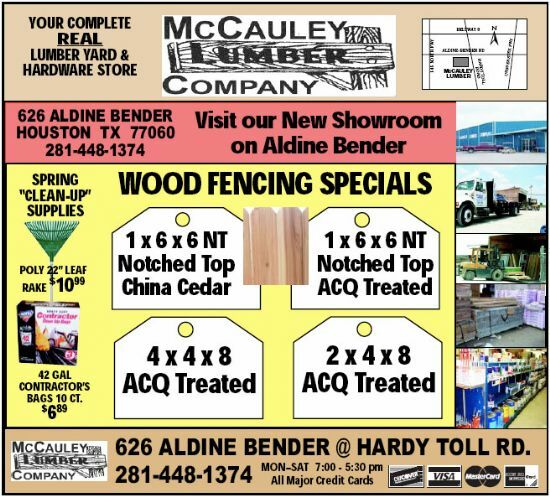 You may call 713-684-4040 with additional information or suggestions for your neighborhood. 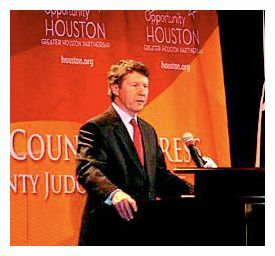 Harris County is home to the fourth largest city in the nation, and part of a larger whole that means we must plan for a future that is inextricably tied to others, according to Harris County Judge Ed Emmett, speaking to the Greater Houston Partnership and delivering his State of the County address last Thursday. But the good news is that we are financially sound, due to conservative financial planning. The County is due to adopt a 2009-2010 budget at their next session, of about $1.7 billion dollars, which is 7 percent larger than the previous year. However, due to increased property appraisals averaging 10 percent, no tax increase will be required. Challenges in the future will include dealing with unprecedented growth and its related issues, he said. Population is expected to double by the year 2030, and will bring problems to solve in transportation, health care, education, job creation, and quality of life issues. Emmett stressed that the key to solving all of these problems will be cooperation between government entities on a regional basis, and public/private participation in the process. He cited a number of examples of success in this regard, including how the region dealt with the Hurricane Ike strike, and subsequent damage and relief. Emmett pointed out that Harris County is becoming the Gateway to North America and that international commerce will be the key to our greater prosperity. It is our future he said. The Port of Houston and its infrastructure will be key to the success of international commerce. Transportation will be important in this regard, including commuter rail, METRO light rail lines, and extension of transit to areas not now served. Health Care must be improved, with the need for more than two Level One trauma centers, the separation of mental health from the criminal justice system, and other governments sharing in the cost of indigent care for patients living outside Harris County. Education is a key component in the future, and Emmett would like to see the University of Houston developed into a Top Tier status institution. Finally, preparation by both governments, businesses, and the public must continue to deal with more natural disasters such as Hurricane Ike brought to the Gulf Coast, he said. Rep. Gene Green last week voted in support of H.R. 1, the American Recovery and Reinvestment Act (ARRA). This legislation will help Americans become more globally competitive and energy independent, modernize our infrastructure and healthcare systems, invest in the future of education, while providing unprecedented accountability and transparency. The American Recovery and Reinvestment Act was approved by a vote of 246-183, and will be sent to President Obama this week for his signature. The American Recovery and Reinvestment Act will create and save 3 to 4 million jobs and prepare our economy for long-term growth. This legislation focuses on the struggling economy today and on creating a sustained workforce for tomorrow. ARRA includes strong oversight and public transparency. More than three quarters of all Americans favor this legislation. Right now Texas has an unemployment rate of 6 percent, and it is estimated that the Recovery package will create or save over 269,000 jobs in Texas alone, said Green. A staggering 3.6 million American jobs have been lost since this recession began in December 2007. High unemployment and rising costs have outpaced Americans paychecks. The Recovery Act will help workers train and find jobs, and help struggling families make ends meet. Every dollar in unemployment or food stamp creates at least $1.63 in economic activity, as these funds are spent quickly. 95 percent of Americans will receive an immediate tax cut. This jobs and economic recovery act contains plans to create or save 269,000 jobs in Texas over the next two years, provide a Making Work Pay tax cut of up to $800 for over 8 million workers and their families immediately, and modernize the states infrastructure and create jobs with an extra $2.8 billion dollars in funding. Gene Green is the Democratic Congressman for East Harris County. Today, Congress passed the largest spending bill in our nations history  I voted NO. This morning, before the vote, I was talking to my friend Sammy Mahan from Baytown, Texas, and I shared our conversation on the House floor today. Like most Americans, he was concerned about his business and what this is going to cost. I suspect that if most Americans read this bill and they realized how much it was going to cost them personally they would agree with Sammy. And since people I represent cant opt out, I am going to opt out for them. Congress needs to come up with a plan that actually stimulates our economy by addressing the problems that got us here, not creating more. But in another failed attempt to save the day, Congress continued down the same path of careless and wasteful spending and voted 246 – 183 to pass this misguided spending bill loaded with pork. Congress needs to act to revive our economy, but a bill loaded with pet projects and more government programs is not the way to financial salvation. Government is not the answer  it is the problem. Allowing Americans to keep more of their own money by providing tax cuts for everyone who pays federal income tax is the only proven method of giving the economy the shot in the arm it needs to recover. We do not need more government jobs, we need to allow our small businesses to increase their productivity and create jobs that will last. I believe that Americans know how to best spend their money, not the Washington elites. Ted Poe is the Republican congressman for East Harris and West Liberty County. East Aldine Management District has completed operation of their eighth year in existence, and the Board held a budget workshop and heard a report on progress in the 2008 year, last Friday night at a special session. The report, delivered by Executive Director David Hawes and Chairman Clyde Bailey, included plans for 2009 and beyond. In their remarks, they pointed out that the district is sales tax based, not property tax like many of the other 26 management districts in Harris County. This revenue base has grown from $800,000 in the first year 2001, to $3,500,000 last year. This strong growth has allowed the district to proceed with their long range goals and improve ments in the district. Water and Sewer Infrastructure projects in 2008 include completion of the Tasfield Sewer project, start of the North Houston Heights water and sewer lines, application to the state water board for $600,000 in funding for an engineering grant. Security and Public Safety includes expansion of the Contract Deputy program to 4 deputies and a Sgt., an abatement officer, and bike patrols on week-ends and holidays. Neighborhood Clean-up included mosquito spraying for 9 months, mowing and litter pickup along major roads, removal of bandit signs, assisted county with hazardous waste collection at Jeds Home Center, coordinated heavy trash pickup in all neighborhoods through the year. In Economic Development activity, the district progressed on plans for water and sewer lines on the east side of US59, and added signage on the Hardy Toll Road for the district. Community Grant Funding, or financial help to local organizations, was increased to $186,000 for the year. Water and Sewer programs will include finishing North Houston Heights, start of Sherwood Place/Benton Place lines with a TWDB grant approval due in mid-March, start Inwood Place water lines, use bond sale proceeds for main water and sewer lines in Service Zone 11 (east side of US59), proceed with Westfield Estates Septic System Pilot Project as partner with HGAC. Mobility projects will include new signage, bus stop enhancement, intersection redesign, all as projects with government entity partners. Security and Public Safety programs will expand, with more bike patrols, especially in the parks, and involvement with the “Safe Routes to School” grant program. Neighborhood Clean-up will expand to include special “hot-spot” work, and possible dumpster collection points. Economic Development activities will get attention from the new ED director, Grethen Larson, with emphasis on an enhanced website, new marketing and PR, and expanded networking with realtors, businesses, apartments, and social service providers. Community Development Funding is budgeted to increase to $250,000 for local programs. In addition to Hawes and Bailey, other Board members include John Broussard, Reyes Garcia, William Townsend, Deborah Foster, Bob Beasley, Gerald Overturff, Ray Shotwell, and Maria Espinoza. 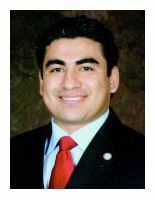 AUSTIN  Last week, State Representative Armando Walle (D-Houston) was appointed to serve on three key committees for the 81st Legislative Session. Rep. Walle was named to the House Committee on Urban Affairs, the House Committee on Human Services, and the House Committee on Rules & Resolutions. Rep. Walle explained that thousands of pieces of legislation will be considered by the Legislature this session, and the committee process closely analyzes legislation before Representatives vote on bills on the House Floor. Taking an active role as a committee member enables him to have greater input on a large number of bills covering a wide range of issues. Rep. Walle represents House District 140, which includes parts of Houston and unincorporated areas of Harris County. Rep. Walle encourages constituents to contact his office on this or any other issue by phone at (512) 463-0924, by e-mail at Armando.Walle@house.state.tx.us, or by visiting the Texas House of Representatives website at www.house.state.tx.us. Houston Community College Northeast kicks off Black History Month with a diverse group of performers at Northline, Pinemont, and Northeast Campuses. The multi-faceted Hip Hop artist Komplex, who has shared the stage with artist that includes Floetry and Regina Belle, will perform at the Northline Campus on February 17 at 2 p.m. Tony Henry, will perform at the Northeast Campus, February 18 and Pinemont Center, February 19, capturing the likes of Sam Cooke; singing a mixture of cover tunes and original works at 11:30 a.m.
Northeast College will close out the month with laughter when comedian, Dave Martin performs on February 26 at noon. Dave Martin will bring a unique blend of humor and musical parodies to the stage at the Northline Campus. 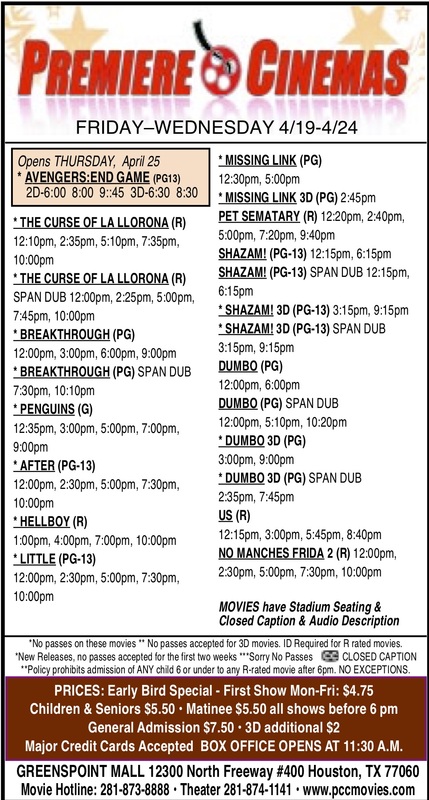 For more information upcoming performances, please call 713.718.8300 or visit northeast.hccs.edu. HCC Northeast art department opens its first art show for 2009. The Northline Campus Art Gallery is proud to present a premiere show of student art from the painting and art appreciation classes of fall 2008 during the month of February. The Art Gallery at Houston Community College Northeast is dedicated to promoting the artistic expression of students, faculty and members of a diverse community. The gallery is open to the community from 9:00 a.m. to 3:00 p.m. For more information on upcoming exhibits at the Northline Campus art gallery, call Tina Kotrla at 713.718.8089 or visit northeast.hccs.edu. HCC Northeast drama department presents “Graceland” by Ellen Byron at the Northeast Campus Amphitheater, 555 Community College Dr. Graceland is about two women from different generations waiting for Elvis’ mansion to open to the public for the first time. Lots of laughs and even a few tears make Graceland enjoyable to everyone, especially Elvis fans. The community is invited to attend. Performances are scheduled for February 27 and 28 at 8:00 p.m. For more information and directions to the Northeast Campus, call Debra Schultz at 713.718.8486 or visit northeast.hccs.edu. In honor of Black History Month, HCC Northeast is hosting an African-American Health Awareness Day, February 26 at the Northeast Campus, 555 Community College Dr. In an effort to promote early intervention and prevention, information will be provided on health issues facing African-Americans throughout the day. For more information, contact Dr. Kenneth Holden at 713.718.8067. “Blacks in Politics” will be the focus on Feb. 16 through 19. “American Black Out” a 2006 Documentary investigating the controversy surrounding the 2000 presidential election in Florida, will be shown Feb. 19 at 12 p.m. in Codwell Hall. Throughout the month photos of notable African Americans will be on display at, Northeast campus, 555 Community College Dr., Houston, TX 77013. The Harris County Flood Control District invites the public to a meeting to discuss a study of flooding and how to reduce it, along Halls Bayou. Halls Bayou is approximately 20 miles long. Its watershed, the area that drains into Halls Bayou, covers about 45 square miles. While offering rich vegetation and opportunities for recreation, the area is also prone to flooding. This causes risk to persons and property along the bayou and its adjoining watershed. At these meetings, which will be held in both English and Spanish, the HCFCD will provide information on the study, and answer questions, and ask the public for formal comments regarding flooding issues and potential solutions. All meetings will be held at MacArthur Sr. High School, 4400 Aldine Mail Route. The first meeting in English will be held Feb, 17. An open house will be held from 6 to 7 p.m. with a presentation and public comment period following from 7 to 8 p.m.
A second meeting in English will be held Feb. 21 with 9 to 10 a.m., with the presentation following from 10 to 11 a.m. This will be followed by a Spanish Language third meeting with an open house from 12 to 1 p.m. and the presentation from 1 to 2 p.m.
Community members are encouraged to attend and provide feedback regarding flooding in their areas. For questions or comments about the study, contact the HCFCD Study hotline at 713-684-4040. It amazes me how this Madoff fellow got away absconding millions and millions of dollars from people who thought they were getting richer. This is one time I am glad we are not wealthy. On top of that, Madoff has been walking freely about. It is a wonder somebody hasn’t jerked a knot in his tail for what he did, being free like he is. Do you think rich people do that? It would be interesting to see a list of who lost and how much. It would be like playing poker, read ’em and weep. The government was asleep at the wheel on this one, specifically the Securities and Exchange Commission. Having spent 38 years working for six banks in two buildings, one gets to know how bank examiners work or at least some of it. The examiners would go through our investment accounts like the bonds, stock, etc and etc., then the examiners would send correspondence to account holders requesting verification of the account and amount, etc. The examiners would go through us as if using a flea comb looking for irregularities. Of course, as Madoff has proven; it is sometimes hard to catch a thief. One time, there was a bank examiner who would go through people’s waste baskets. Of course this one bank examiner had smelled a rat and was digging deep for irregularities. Then again having been close friends with past examiners, one can say they do party and play at times. They like to play practical jokes on one another as well as cover for their podna’s too. 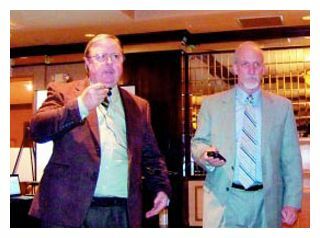 At one time, a bank would take the examiners out to lunch but that is now history thanks to people like Bert Lance and Jessie James. The examiners loved to go to the boat clubs or country clubs for their luncheon. Many would drink their lunch thus making a day of the lunch. Mind you lots of people drink their lunches, so it is not all government people. Bankers are not angels by any means. Many have sticky fingers and I’ll share a few tales with you if you are interested. The story goes that this one banker would make all these restaurant loans to persons and get a five or ten thousand dollar kickback for making the loan. Then there was this banker who got a kickback on each loan approved for a certain dealer until company management got air of the deal. Then there was the banker who would make leg loans. Now let me tell you, that is a brave man or fool, one way or the other, some poor fool is going to have to collect it. Been known to collect a few leg loans in my career from bankers who had gone down the road; the customers sure gets perturbed when they have to fork over the cash for their little sweetie’s monthly note. This one customer would take notes out for persons of his religious sect to sign and he would then return the signed notes to the bank. This person was an outstanding person of the community, big in the church, etc, etc and of course etc. He forged I don’t know how many of the notes thinking he was helping the church and all.